My next home project is in the queue. Maybe tonight I will carve out some space to work on it… That stack of flax and hemp linen is one of those simple things that makes me physically happy. Just the sight of linen – it’s texture, it’s depth, it’s coarseness and softness, the way the fibers weave amongst each other. It creates a bodily, palpable sensation for me. It’s like you want to eat it, but of course you never would. But how to explain that feeling? Is there anything like that for you? Do I sound like a crazy person? :) When I named my business “infusion” I had in mind the weave of a rustic, raw linen. 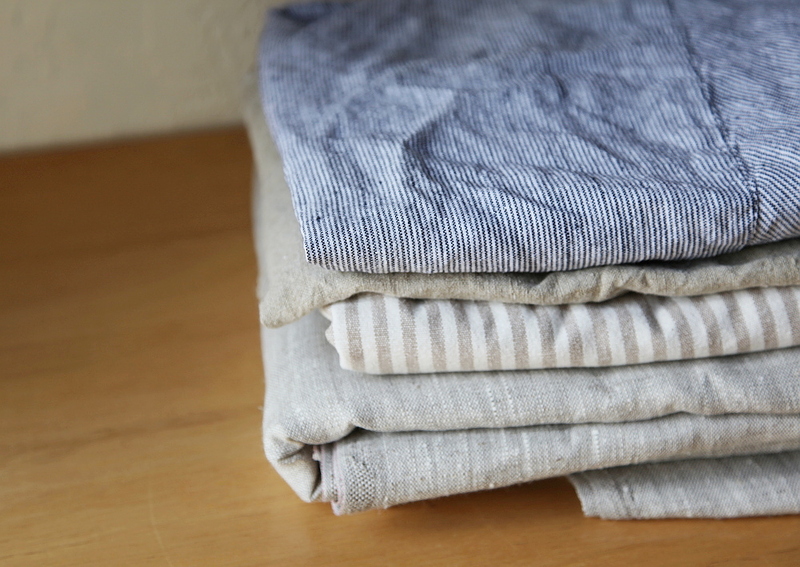 Romanian Hemp and European linen were the original source of my crazy love for textiles. So anyway, what will come of that mighty stack will be some very simple, hardworking items. Items that will be seen and used every day, all day. Any guesses? What would you feel inspired to make with it? .. this is not the first time I have gushed over linen. In case you missed this a couple years ago, and are interested, here is a beautiful video about European linen. Hi folks! The shop is now open. It feels great to see it full again. There are a few new small items – including the Mini Satchel in Saddle Brown (shown above), the Mini Satchel in Ikat, and a one-of-a-kind snap clutch – as well as a couple more smaller items on the way, and I am excited to be offering a limited edition small satchel in waxed canvas and wool. 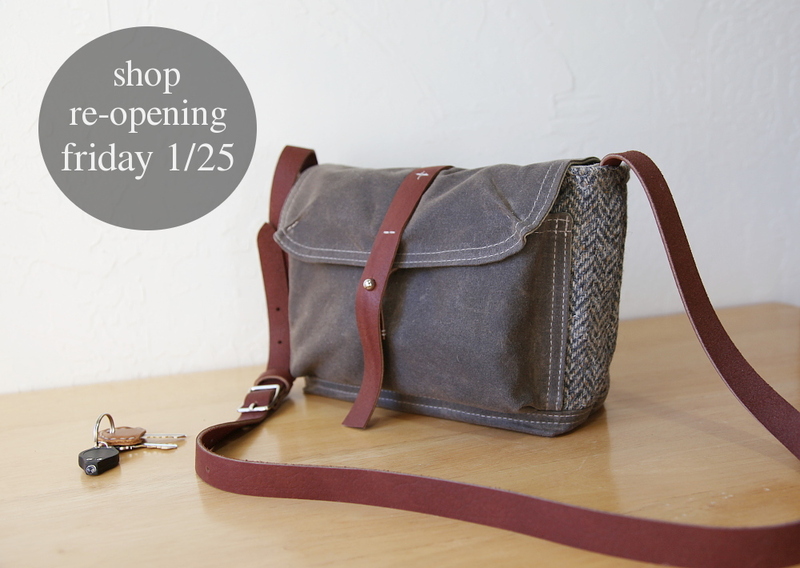 Coming soon is the herringbone tote with a darker wool base (also shown above). The 2-tone herringbone tote was the most asked-after bag this holiday season, after I ran out of wool and it was sadly marked “sold out.” I haven’t been able to find a comparable replacement wool for the base, so decided to try something new. I have sourced a superb wool melton, in a dark charcoal color – almost black. It feels amazing to the touch. Once we have some decent light again, I will get it photographed and listed. 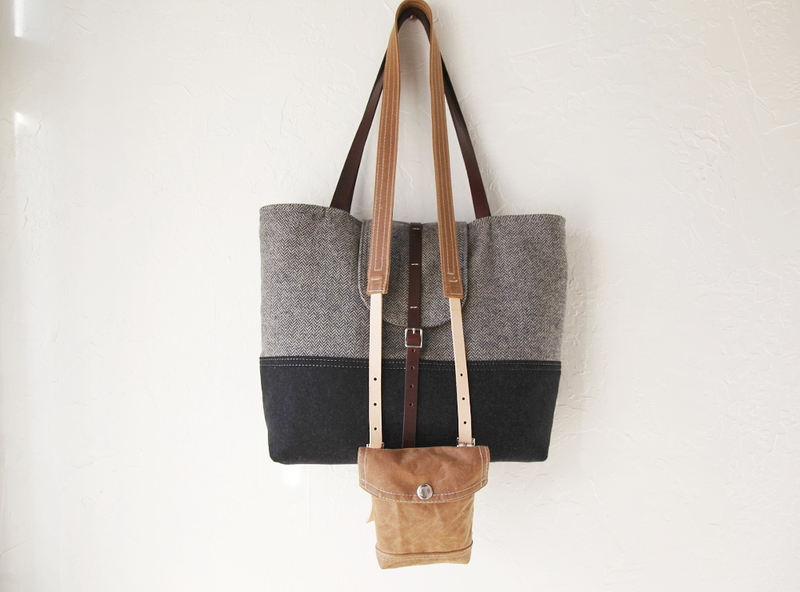 In the mean time, there is one herringbone tote available, with the original base color, for anyone who is interested. It has a hidden snap closure (something I was going to release for this bag, but didn’t get to) so the front strap is 5/8″ wide instead of the original 1/2″ wide. I’ll share more about other new items as the time gets closer. Thanks so much for your enthusiasm. I have felt a warm welcome back with your emails and orders. Great news! The shop will re-open this Friday, the 25th. I’ll be aiming for sometime in the late afternoon/early evening (Pacific time). I have a few new items to release, and a couple exciting things still in the works. I’ll be working on them today, in between dyeing leather and working through the stacks on my sewing cart. 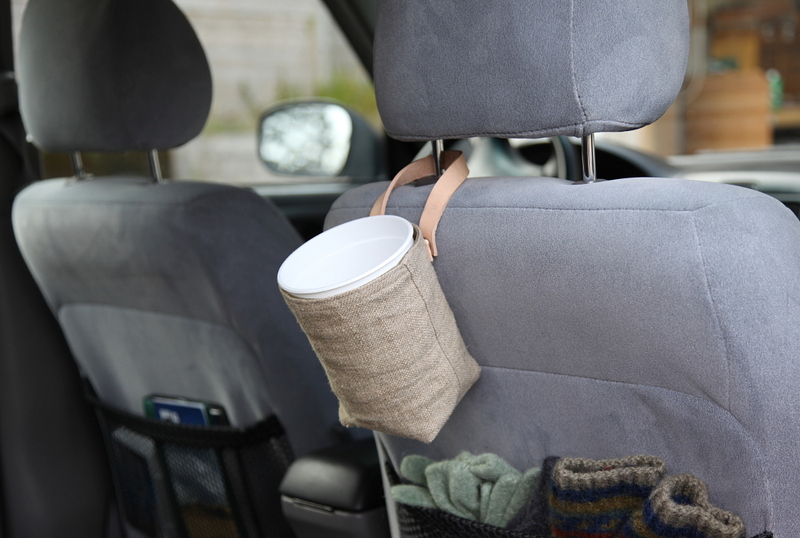 This week’s DIY project was a little something for our car. We like to have the basics set up so our vehicle stays organized, and so we are prepared for spontaneous day trips or long days out running errands. One thing we needed was a functional place to put waste, like banana peels, apple cores, small recyclables, etc while on the road. 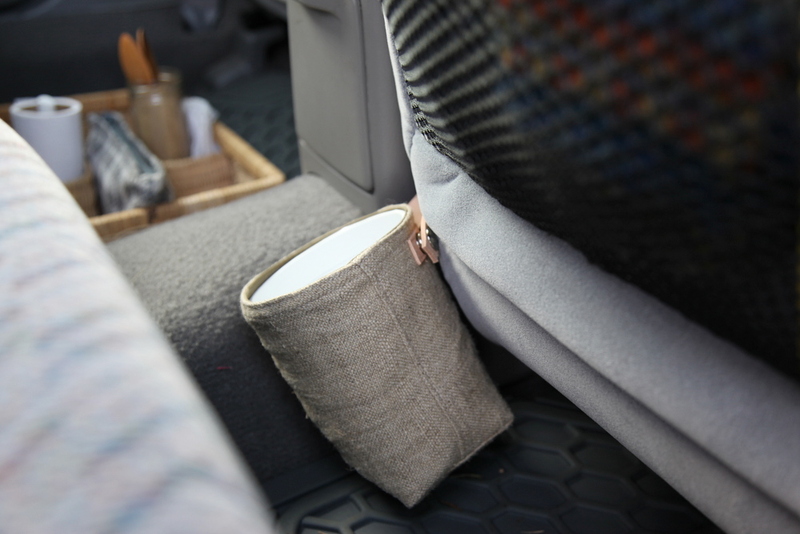 It didn’t need to be large, would preferably be washable, stable so it didn’t tip over, and easy to access from the driver and passenger seat. 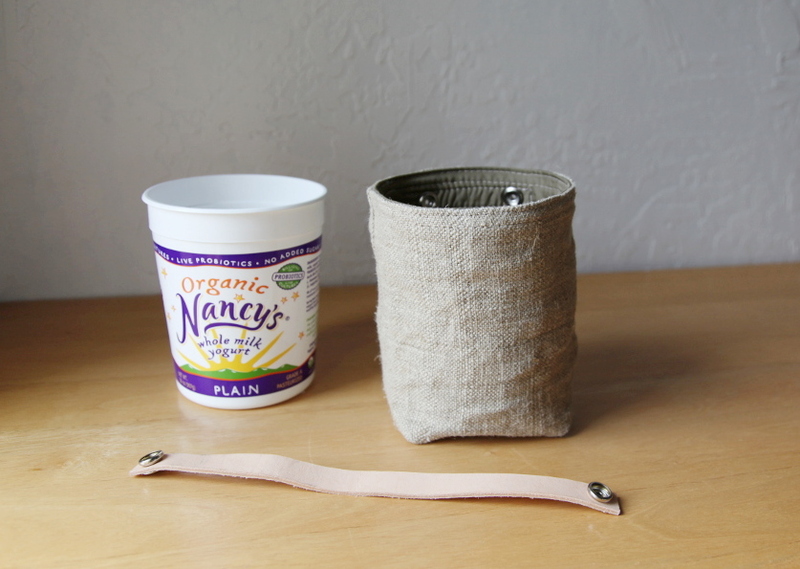 I tracked down a quart sized yogurt container (which was satisfyingly difficult to find since I make my own yogurt now), and built a small fabric container around it. I installed snaps on the fabric container, and also on a leather strap I cut, so it could snap in and out of where ever it was hung, with ease. 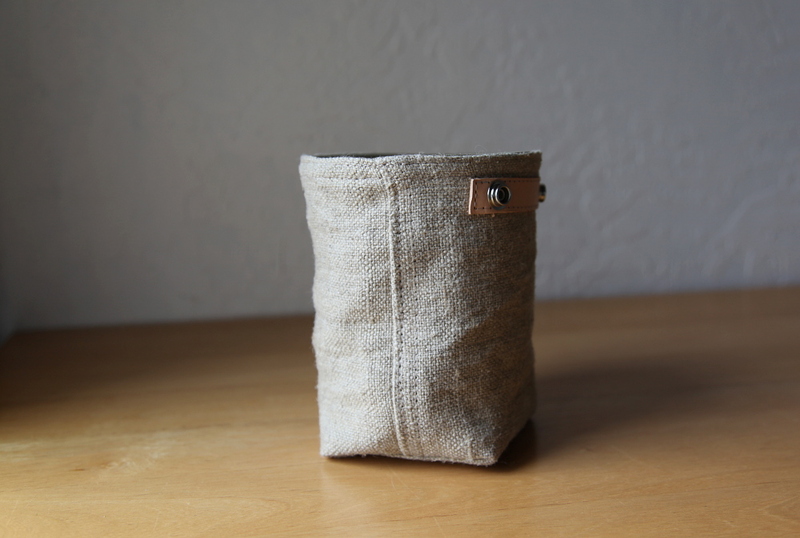 The container is made with a heavy hemp canvas (my favorite fabric in the world! ), and lined with a waterproof nylon material I had leftover from a custom order some time back. 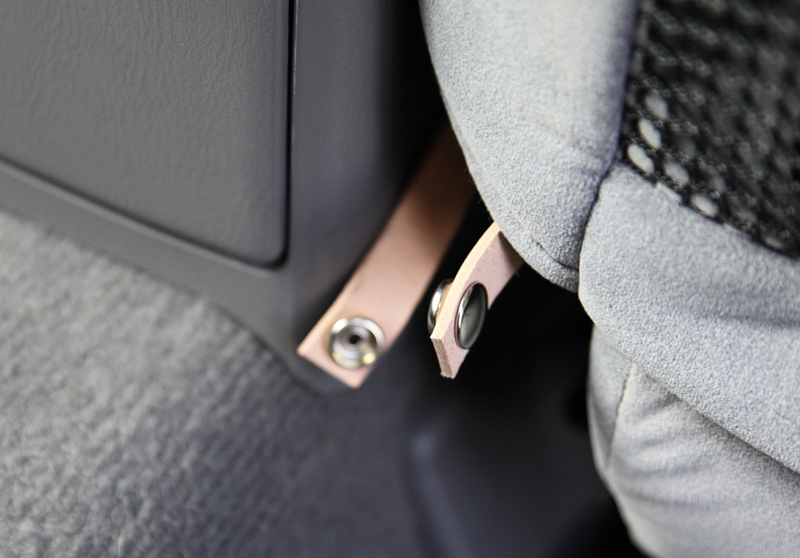 It’s hanging from the seat frame down near the floor now, but can also be hung from the back of the headrest. We don’t generate a lot of trash (especially not while in the car), so the size is perfect. Do you organize your car? Any fun tips? It’s been beautiful here for days and days. This weekend we hit the road to do some exploring in the wild. There are endless nearby options for getting out in nature, which is one of things I love so much about where we live. We drove for a while, appreciating the colors of the winter landscape in the sunshine, until we couldn’t wait any longer to be out on foot. This lake is part of a large wetland, situated in the low lying areas of the surrounding dunes. It’s a great place for birdwatching and would be a peaceful spot for a private picnic. The contrast of thick green woodlands and sparse, wide open dunescapes is dramatic, and you can easily transition from one terrain to the other in just a few steps. In the distance is the Siuslaw River, emptying into the Pacific Ocean. It is easy to feel small in such an impressive, expansive, pristine natural space. I love that feeling. The sky has been so vividly blue. In the warmth of the sunshine, we peeled off extra layers and packed them away in our day pack. We saw many animal tracks in the sand. Wondered if these were coyote. I love this place. So wild and free. + Amazing score from the ‘free books’ shelf at the humane society. Clothbound, from 1949, with beautiful illustrations and a lot of information. 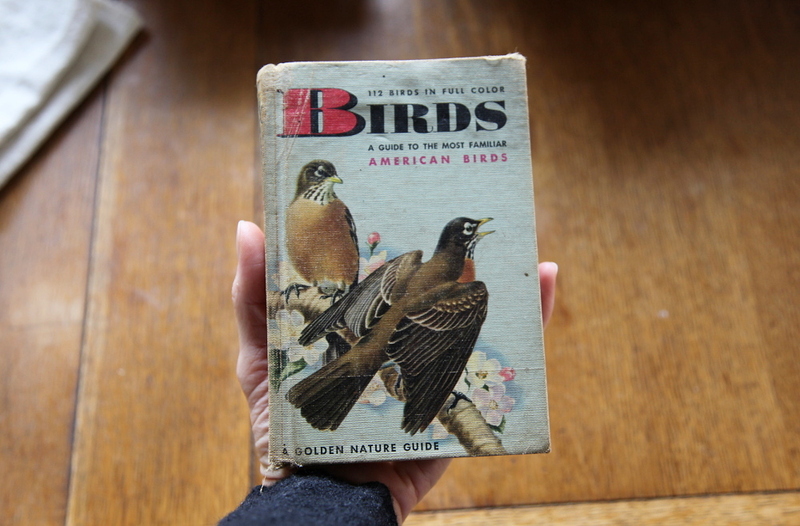 I have a nice collection of bird books going and I refer to them all. 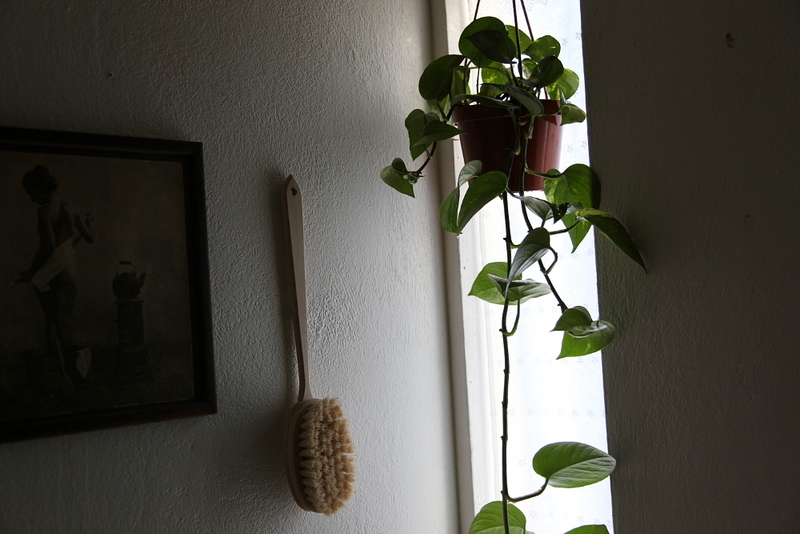 + Gold Pothos we hung in the bathroom last month. I can’t quite tell yet if it’s totally happy there…. maybe a little more light would be nice. 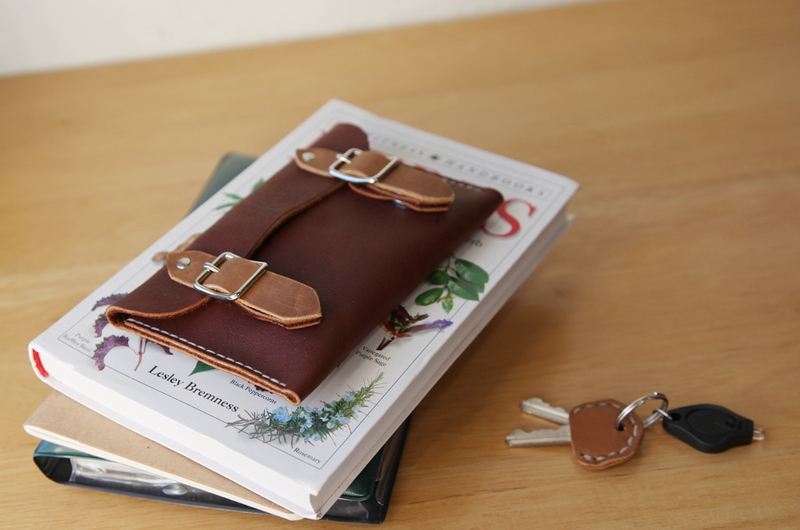 + A wallet I made a while back, and will add to the shop when I reopen. …A few snaps from the week, and a few words about the shop… I haven’t been feeling well this past week, which really slowed me down on my plans for reopening the shop. I’m feeling way mo betta the last couple days, and am getting back on track. Gosh, feeling dragged out and cruddy sure makes you appreciate feeling well even that much more. 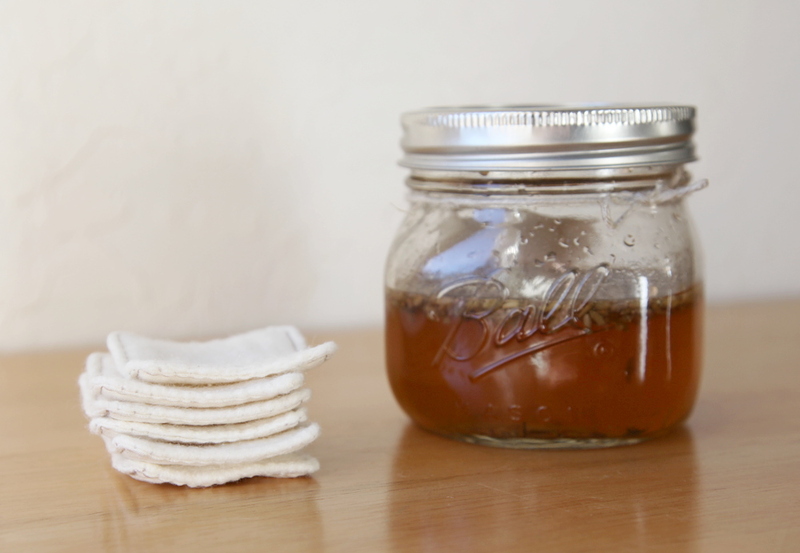 This week I started a batch of Natalie’s lavender skin toner. Witch Hazel, the base of this toner, is something I hadn’t had around since I was a little girl with the chicken pox, and my dad gave me cool witch hazel baths. The smell is still a comfort. Since having it on hand this week, I’ve been enjoying using it as a skin toner on it’s own while I wait for my lavender batch to be ready. After the first night applying it (with a little swatch of toilet paper), I realized I needed a non-disposable solution, and here is what I came up with. 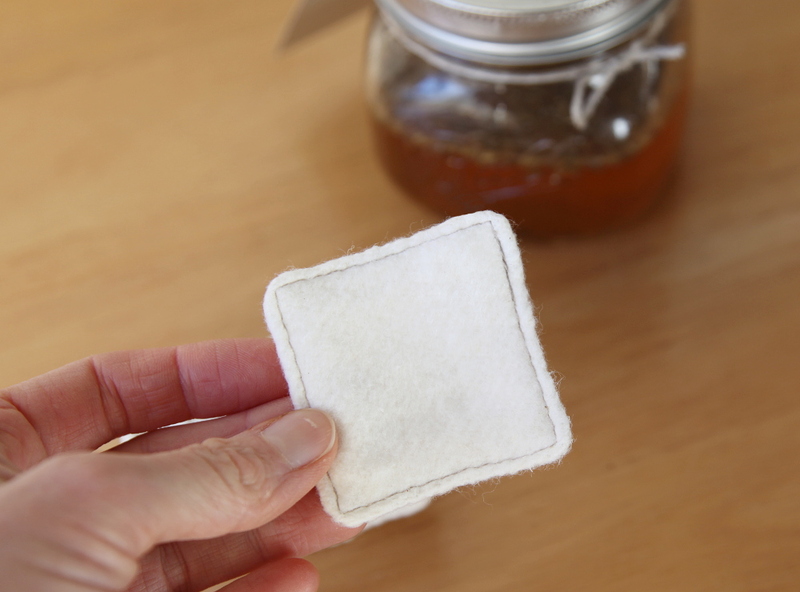 These little wipes are quick and easy to make, easy to wash by hand or machine, economical, and best of all – ecologically smart. I used a hemp/organic cotton fleece for one side, and unbleached cotton muslin for the other. I cut 3″ x 3″ squares of each, laying one on top of the other with right sides facing. Sew them together, leaving a hole in one edge to turn. Clip your corners, turn right side out, press, and top-stitch. 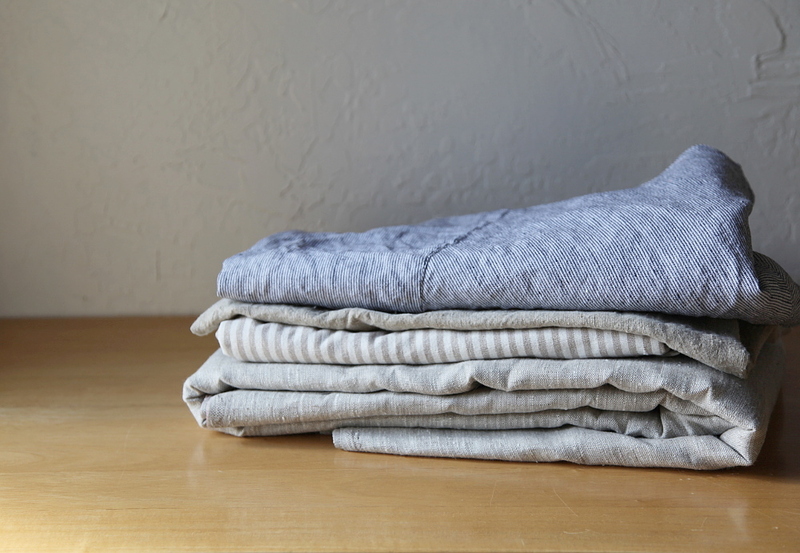 The fleece is soft and absorbent and the muslin side provides a gentle scrubbing quality. I am making a little goal for myself to try to do at least one project for our home each week. It’s so rewarding – even something so small as this – and I don’t make things for us nearly enough these days. I will share my projects on the blog as I go. I’m excited about this! 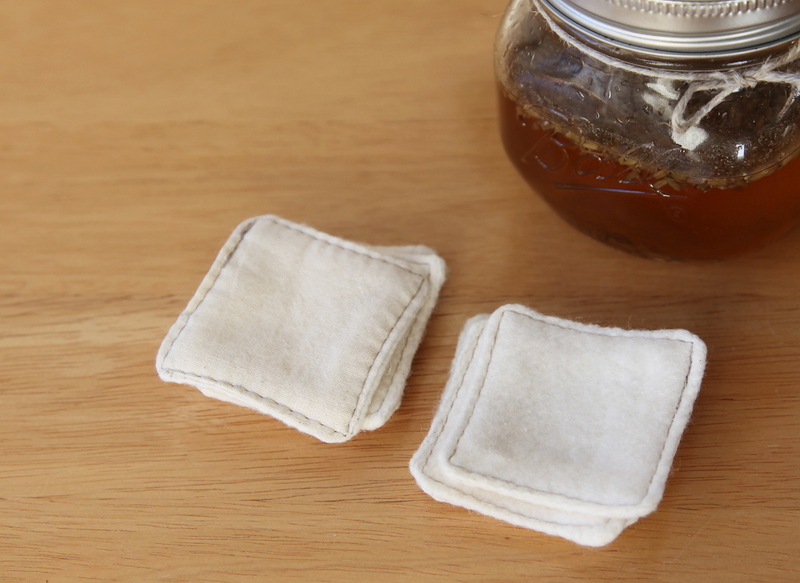 Edit: I thought I would add a couple things… These pads could be made with any fabric you like and they require very little material. Ideas: cut up an old washcloth, an old cotton t-shirt, a worn out pillow case, what ever you have on hand that feels appropriate for facial application. 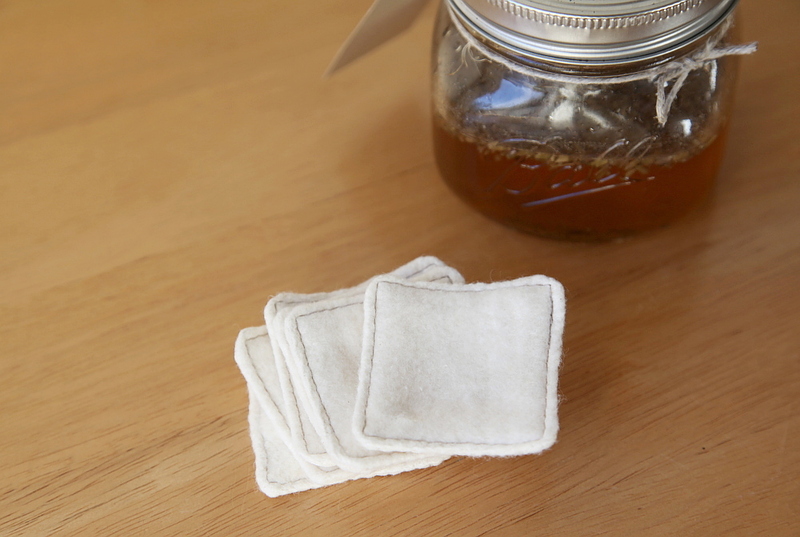 And if you use natural fibers, your pads will bio-degrade when their useful life is done. You can toss them right in with your compost.